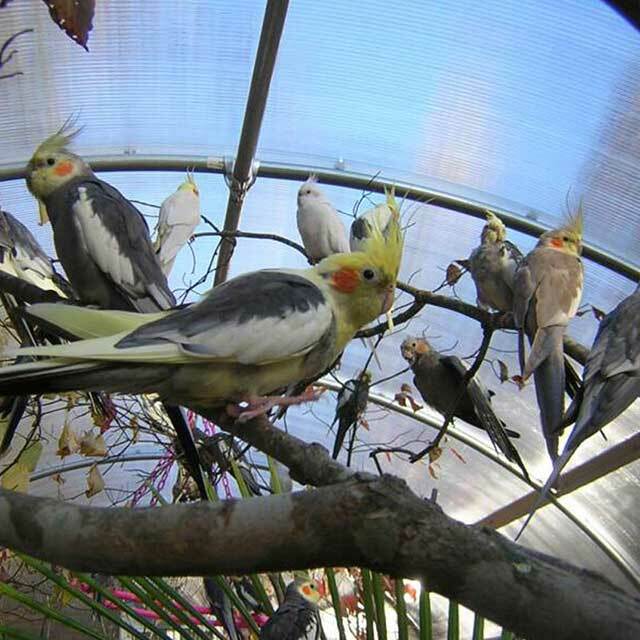 These greenhouses are suitable for the backyard hobbyist or the professional grower. 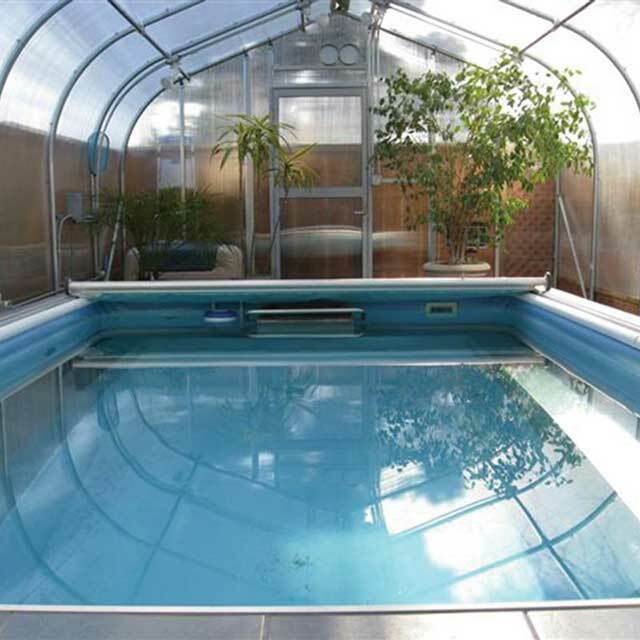 The twin-wall polycarbonate covering provides strength, durability and elegance. Clear sheets are flame retardant, will not discolor and have up to 78% light transmission. 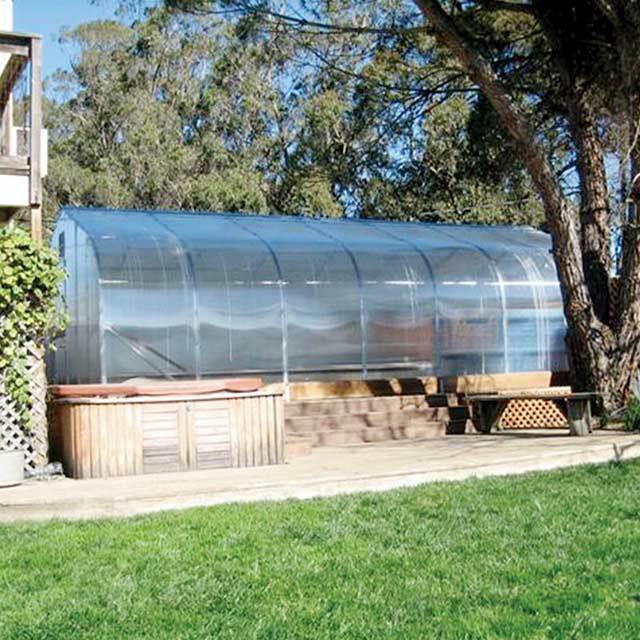 Build a greenhouse in your backyard and start a new hobby. You can also grow beautiful flowers year round and save money by growing your own vegetables. 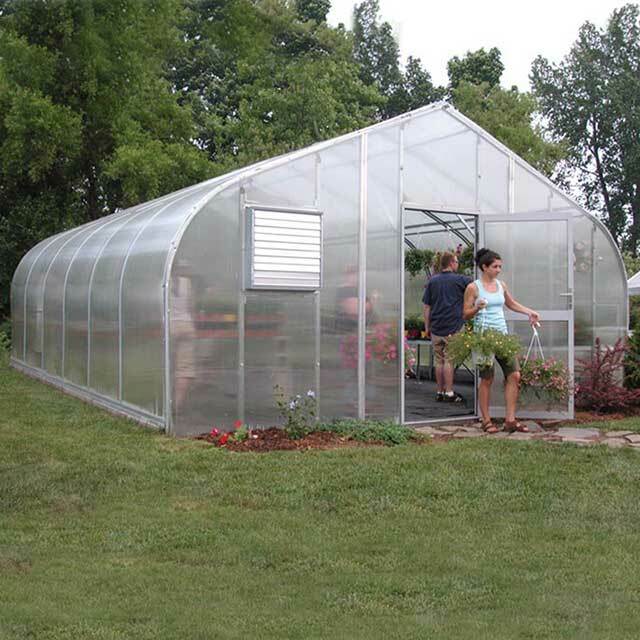 A new greenhouse can be a valuable addition to your property. Enjoy gardening every month of the year and even start seedlings early to transplant outside when the season allows. Premium Solar Star Greenhouses create a relaxing, stress-free environment the whole family will enjoy! Frame is manufactured from highest quality Allied structural steel tubing. End frame is constructed from strong 16 gauge, 1-1/2" square Allied structural steel tubing. Ends and top covering are constructed from our 8mm twin-wall polycarbonate sheets that are light in weight, virtually unbreakable and come with a 10 year warranty. Units come equipped with a 36" width x 80" height heavy-duty aluminum entry door, complete with 6mm polycarbonate sections at both top and bottom, stainless steel hinges and latch. 4' height sidewall offers more valuable growing space. Optional Second Door Kits sold separately.